The University of Toronto's Department of Obstetrics and Gynaecology is proud to be a partner in numerous global health initiatives. Through partnership with Kenya, we aim to improve the provision of obstetric and gynaecologic care, to participate in novel research and to provide opportunities for medical and cultural exchange for our students and faculty. Opportunities may be available for residents to participate in clinical and research work and exchanges. In 2007, the University of Toronto Faculty of Medicine, led by the Department of Obstetrics and Gynaecology, entered into a partnership with the Department of Reproductive Health at Moi University in Eldoret, Kenya, through the AMPATH Consortium. The AMPATH Consortium, led by Indiana University School of Medicine, partners with Moi University College of Health Sciences (MUCHS) and Moi Teaching and Referral Hospital (MTRH) to implement the Academic Model Providing Access to Healthcare (AMPATH) in western Kenya. UofT’s Department of Obstetrics & Gynaecology leads the reproductive health component of the partnership (AMPATH-RH) and continues to lead UofT’s participation in AMPATH. AMPATH is a long-standing program providing primary healthcare throughout western Kenya from a base in Eldoret. It balances clinical care with education and research to be a sustainable, innovative, and evidence-based model. Care around Obstetrical Fistula, including primary and secondary prevention as well as repair. This program includes a bilateral student exchange program, at both the undergraduate and postgraduate level, in addition to staff exchanges. Opportunities to support service, education and research within AMPATH are available. You can find descriptions of past elective opportunities for medical students and residents on our AMPATH page. At this time, placement opportunities are for students from AMPATH-partner schools only, with preference given to students from AMPATH Reproductive Health (AMPATH-RH) schools; namely, Indiana University and the University of Toronto. For additional information about opportunities and to get involved with AMPATH-RH, please contact Dr. Rachel Spitzer, Vice-Chair of Advocacy of our Department. 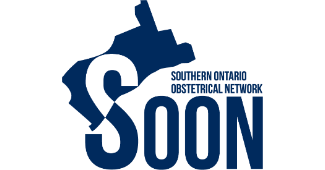 The Society of Obstetricians and Gynecologists of Canada (SOGC) also has a strong tradition of international health work and provides scholarships for students and residents pursuing international health work. Please contact the SOGC directly for more information about these awards.